Ready for a road trip? Some states have more dangerous roads than others. The magazine looked at data from the Federal Highway Administration -- such as highway and bridge conditions, as well as congestion and the rate of fatalities -- to come up with the rankings. But while Montana made the "best" list because of its good infrastructure and few bottlenecks, it also had some dishonorable mentions. Montana tops both the list of states with the deadliest roads (followed by Louisiana and South Carolina) as well as the list of deadliest states when it comes to driving under the influence; South Carolina and Louisiana come in second and third in that category. "[Montana] tops the deadliest list in part because of drivers who drink, drive recklessly or shun seat belts," the magazine's editors said. Meanwhile, Alabama was ranked as the deadliest state for speeding, followed by Mississippi and South Carolina. Reader's Digest also compiled a list of what it called "dreaded, dreadful and deadly" stretches of road that truck drivers and other veteran travelers complain about, including Interstate 5 in California, Pennsylvania roads "in general" and I-285 in Atlanta, Georgia. 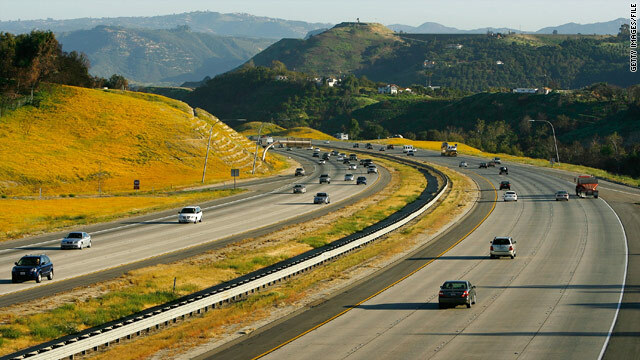 The magazine's best bets for "safe, scenic and sensible" roads include I-70 through Kansas, I-40 across New Mexico and California and I-84 in Oregon.